Introducing Canary Talk, Desktop Streaming, and a new Watch Live. | Canary Blog. From day one, we’ve purposely built our products to get smarter, do more, and serve you in new ways over time. In many cases, we’ve fully anticipated the evolution of your Canary experience. In others, we’ve taken your feedback as inspiration. Over the last two years, we’ve made close to 40 feature updates—big and small—all with relentless focus on always making your Canary feel like it’s fresh off the lot. Today, we begin the roll-out of three new and highly-coveted features. Features that we’ve planned for and that you’ve been asking for. They are: an optimized Watch Live experience that reduces latency and delivers true, real-time viewing, two-way Canary Talk for live conversations, and a Web app update that enables desktop streaming. See below for more details, including information on how and when you’ll be able to access each of these features. As always, thanks for your inspiration and trusting Canary to keep your home and loved ones safe and secure. We’re proud to now be one of the leading security companies in America and worldwide – and we could not have achieved this without your support and commitment to Canary. Watch Live is one of Canary’s most popular features, and it just got even better. 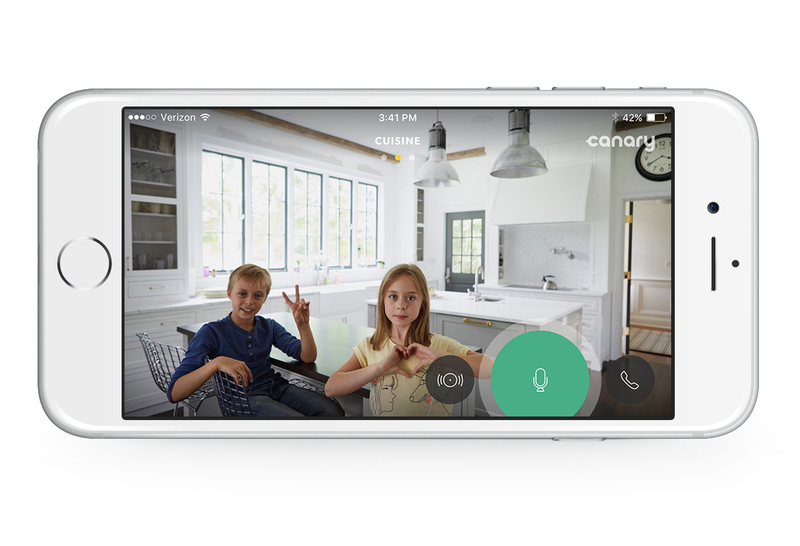 We’ve dramatically reduced latency to deliver up-to-the-second video from your Canary. Prior to the release of 2.7.0, you may have experienced a delay of about 5 seconds between what you saw in the Canary app and the activity that was actually occurring in an environment. 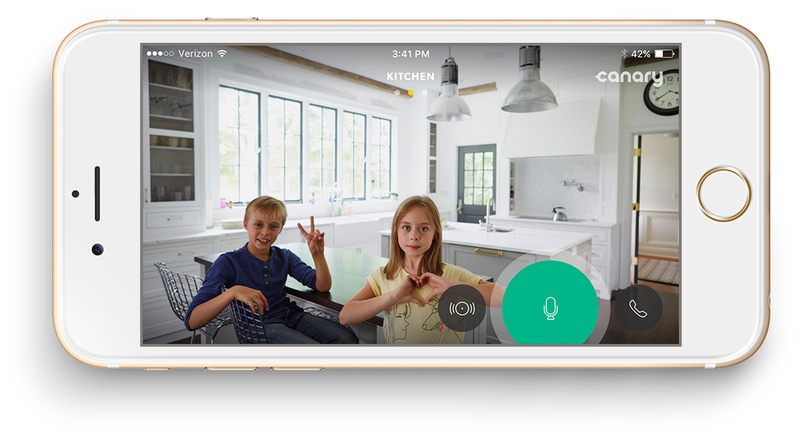 With the new and improved Watch Live experience, latency has decreased, giving you a virtually real-time view into your home. To achieve this, we completely redesigned the backend of Watch Live to prioritize real-time video delivery. By implementing a dedicated video pipeline, and adding adaptive video quality to the Watch Live experience, we were able to make Watch Live truly live. Even though we reduced latency, we haven’t sacrificed any of the data security measures that are so crucial to you and to us—all video from your Canary is still immediately encrypted before being uploaded to the Canary Cloud. Now it just happens in a flash! We will be rolling out the new Watch Live over the course of this week. 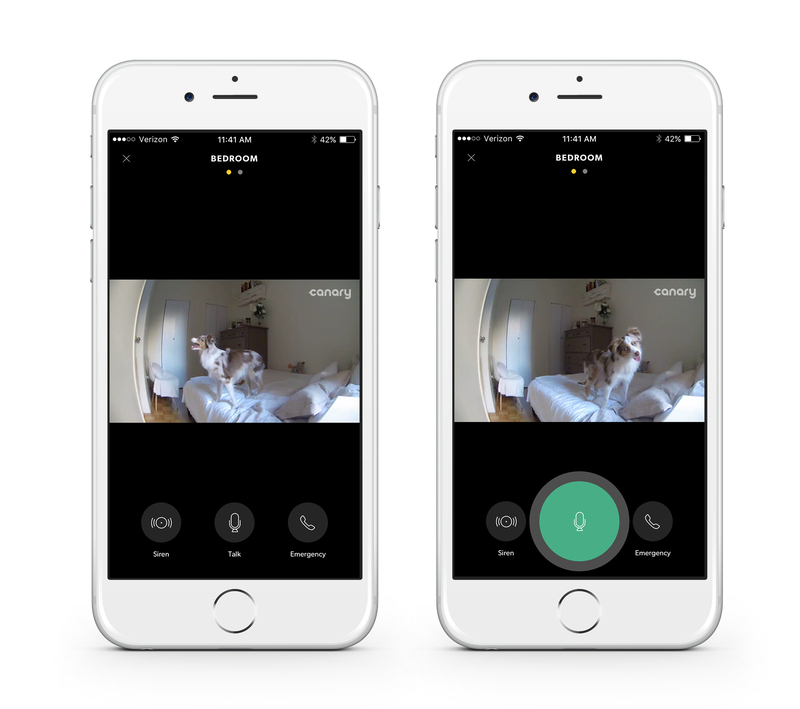 One of your most consistent requests is to enable two-way audio —allowing you to communicate through your Canary app with the people (or pets) in your home. Well, we’ve been equally eager to deploy two-way audio, but wanted to ensure that we delivered an experience that matched our standards and your expectations. Starting with 2.7.0, Canary Talk is available for Canary All-in-One users with Membership, and in September, Canary Flex will be enabled for users with Membership. 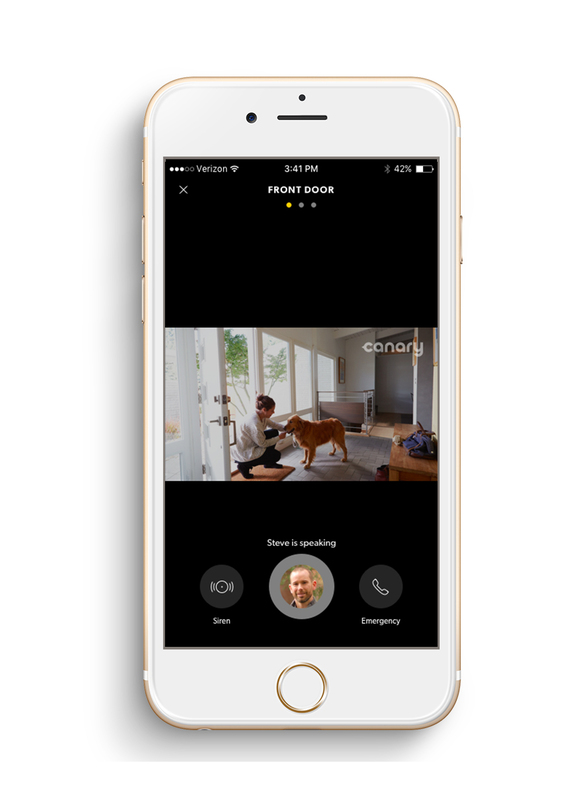 Whether you’re using it to talk to the kids, a nanny, an aging parent, your new puppy, or to ward off an intruder, Canary Talk gives you a voice at home no matter how far from it you are. To use Canary Talk, just tap and hold down the microphone button when you’re watching live, and your voice will be broadcast to your home right through the Canary app. Canary Talk works just like a home intercom—tap to talk and release to listen. It’s that easy. You can even have multiple people using Canary Talk at once, like being on a conference call to your home. This way, if two or more location Members are remote, both can participate in a conversation with individuals in an environment. When multiple Members are using Canary Talk, the app will display the active speaker, as seen below. We often hear from people about how they love to access their Canary in different ways at different times—through our iOS or Android mobile apps, on tablets, Apple TV, or even with Apple Watch and Android Wear. We’re excited to announce that now there’s another way to connect to your home or small business. Starting today, all Canary users with Membership can now use the Web app to to stream live video and view recorded events from a desktop or mobile browser. Whether you run a business or simply want to stay closer to home while at work, our new Web app makes it easier than ever to keep an eye on the shop, nursery, workers in your home, or even the couch—if that’s where Buster likes to take his naps. To use desktop streaming, just head to my.canary.is and tap Watch Live on the device of your choosing. For now, you can Watch Live and view video events from the Web app, and over time, we’ll continue to add more functionality to make the browser-based Canary experience even better. The new Web app and Canary Talk are included with Canary Membership, which also features 30-day video storage, incident support, an extended device warranty, and more. We’ve designed Membership to provide unrivaled value and a broad suite of benefits that extend your coverage and give you more ways to stay connected to home and loved ones. If you’re currently a customer on our free plan, we’ll be reaching out to your directly by email with special offers to try Canary Membership and give these new features and extended timeline a test run. So keep an eye on your inbox. We’re really excited about these new features and improvements and hope you are too! All these new features and improvements are rolling out in the update Canary app v2.7.0, so make sure to upgrade your app from Google Play and the App Store. Canary Flex will be getting Canary Talk in September, so expect additional updates in the coming weeks. We’ve also got more product and partnership news coming soon, so stay tuned! As always, your feedback helps to define our roadmap and informs future innovation—so get in touch in the comments below, on our Community or on Facebook and Twitter, or by sending us a note to support@canary.is.